"metadata": "This is a link collection"
Step 3. Once selected, you can make queries. Transform any JSON with a declarative template, also in JSON. "description": "This is a list of popular websites"
The library is just a single file, made up of stateless functions, with NO dependency. JSON powers almost everything in the world. Build JSON using a simple, human-readable, and declarative template instead of manually coding it. Make complex API queries purely written in JSON. 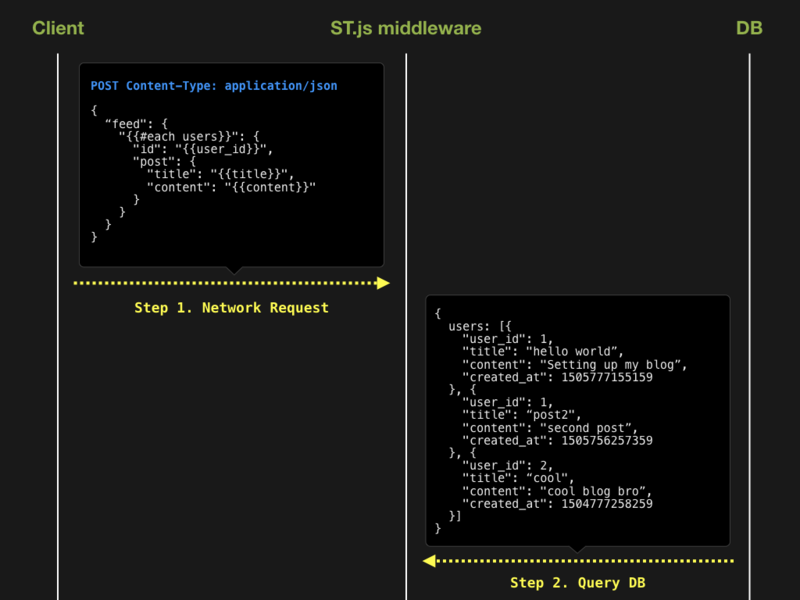 Since templates in ST are written in JSON, you can pass them around anywhere just like any other data object. Notice we're not creating some new query language, it's just JSON. No convoluted infrastructure to set up! But the cool thing about JSON is it can be used to declaratively represent ANYTHING from Model to View to Controller. What if we set executable functions as leaf nodes of an object, select & transform it, and then auto-trigger the resolved function? We have built a router in JSON! Basically, the entire router logic is represented as a piece of data. Let's take the router example from right above. Since our router logic is just a JSON (router.json), we don't even need it on the server side. What if we DON'T keep router.json on the server, but send it from the browser? We are looking at a server WITHOUT a router. Instead of implementing a router on the server, we send the router itself as part of a network request! Also, remember that you can bake validation, conditionals, loops, etc. all in a single JSON IPC/RPC call, which makes it extremely powerful and efficient. 6. 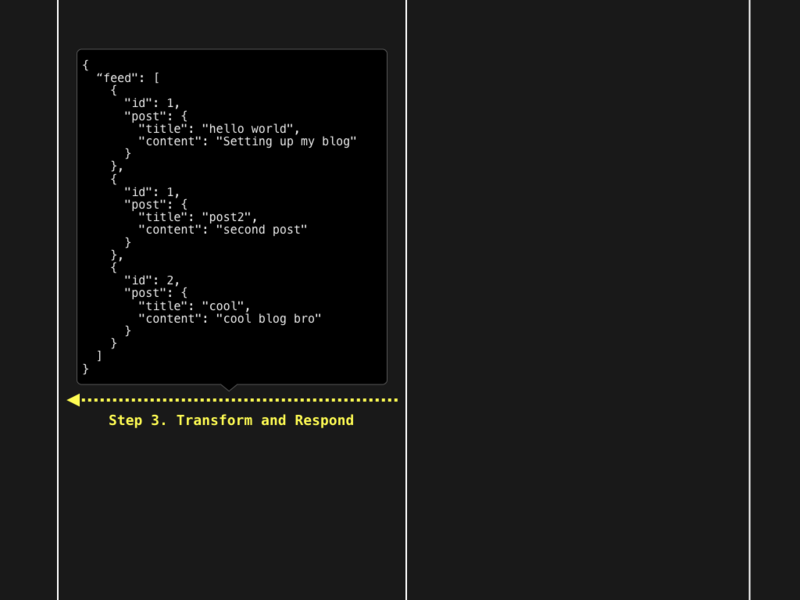 Build your OWN Turing complete JSON markup language! If you read this far, you may feel like you could implement practically any programming concept in a declarative manner, using JSON. st.js is the core JSON parser that powers Jasonette, a framework that lets you build native iOS/Android apps by writing nothing but a JSON markup. But Jasonette is just one implementation. Want to build your own turing complete JSON markup language? Learn more about how Jasonette implements programming concepts by reading this blog post, and build your own using ST.js!